14 April 2016 – Manila, Philippines: The largest sports media property in Asian history, ONE Championship™ (ONE) has just announced a monumental deal with the Philippines' leading media and entertainment company, ABS-CBN. The multimedia conglomerate, with a reach that spans the entire nation and millions of homes all around the globe, will broadcast coverage of live ONE Championship events in Asia to fight fans across the Philippines on its sports channel ABS-CBN Sports + Action. 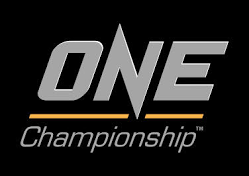 ONE Championship is the largest sports media property in Asian history and the largest media broadcast in Asia with streams to a potential one billion homes in over 75 countries. Among the best Asian mixed martial artists and world champions in ONE Championship are Filipino mixed martial artists who have exemplified courage and honor inside the ONE Cage, helping make ONE Championship what it is today. Apart from unprecedented coverage of live ONE Championship mixed martial arts (MMA) events across the region via ABS-CBN Sports + Action, ABS-CBN will also bring to Filipino fight fans ONE Championship’s events in glorious High Definition (HD) on ABS-CBN Sports + Action HD on SkyCable Ch166. Morever, regular weekly programming of ONE Championship's world-class content will also be seen on free TV on ABS-CBN Sports + Action, bringing Asia’s favorite local and global MMA superstars closer to Filipino audiences several days a week, all year round. “The Philippines is fortunate to enjoy such a rich martial arts culture. We are also proud to have one of the greatest Filipino combat sports athletes in history, boxing’s only eight-division world champion and Filipino ring icon Manny ‘Pacman’ Pacquiao, as co-owner of ONE Championship. The possibilities are endless, and it has everyone at ONE Championship buzzing with excitement at what’s to come,” Cui added. ABS-CBN Integrated Sports head Dino Laurena, meanwhile, said the network's partnership with ONE Championship is another step towards ABS-CBN's goal of promoting sports development in the nation. "When we said we are committed to helping develop sports in the country, we knew we would have to give exposure not just to popular sports like basketball or boxing. ABS-CBN has played a big role in promoting mixed martial arts in the country for many years, and we hope to continue leading the way by supporting exciting and quality fight leagues in MMA or mixed martial arts, such as ONE," he said. ABS-CBN Corporation is the Philippines’ leading media and entertainment organization. Primarily involved in television and radio, the company has since expanded and now owns the leading cinema and music production/distribution outfits in the country, and operates the largest cable TV service provider as well. ABS-CBN also has business interests in merchandising, licensing, mobile and online multimedia services, publishing, video and audio post production, overseas telecommunication services, money remittance, cargo forwarding, TV shopping services, food and restaurant services, theme park development and management, and property management. These investments are all aimed at making positive changes in the media landscape and strengthening the fiscal position valued by stakeholders. For more updates on ONE Championship™, please visit www.onefc.com and follow Twitter and Instagram @ONEFCMMA and Facebook atwww.facebook.com/ONEFCMMA. For more information on ABS-CBN Sports, visit sports.abs-cbn.com and follow ABS-CBN Sports' official Facebook and Twitter accounts, @abscbnsports. ABS-CBN Corporation is the Philippines’ leading media and entertainment organization. The Company is primarily involved in television and radio broadcasting, as well as in the production of television and radio programming for domestic and international audiences and other related businesses. ABS-CBN produces a wide variety of engaging world-class entertainment programs in multiple genres and balanced, credible news programs that are aired on free-to-air television. The company is also one of the leading radio broadcasters, operating eighteen radio stations throughout the key cities of the Philippines. ABS-CBN provides news and entertainment programming for eight channels on cable TV and operates the country’s largest cable TV service provider. The Company also owns the leading cinema and music production and distribution outfits in the country. It brings its content to worldwide audiences via cable, satellite, online and mobile. In addition, ABS-CBN has business interests in merchandising and licensing, mobile and online multimedia services, glossy magazine publishing, video and audio post production, overseas telecommunication services, money remittance, cargo forwarding, TV shopping services, theme park development and management, property management and food and restaurant services, all of which complement and enhance the Company’s strength in content production and distribution. The Company is also the first TV network in the country to broadcast in digital. In 2015, it commercially rolled out its digital TV box, ABS-CBN TVplus, to prepare for the country’s switch to digital TV.